I am growing lettuce, and recently I've noticed some changes in my second batch of lettuce that never occurred with my first. 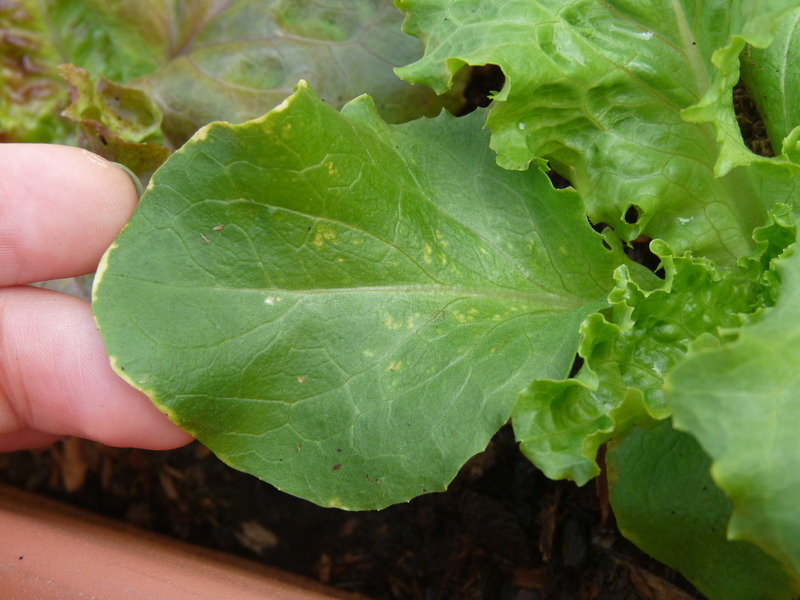 Basically, many of my lettuce leaves now have a white-ish mottled edge to them, and some of the smaller leaves are yellowing a bit. Today I noticed that two of the leaves are developing light yellow spots on them, and I'm scared its the beginning of mold or some bacteria. So you know, I've also had some fungus gnat problems and I'm planning to let the soil dry out again for another day or two. I live in zone 10 so I'm not sure how long they'll hold up without water. I would really appreciate anyone's input!! Good pictures. 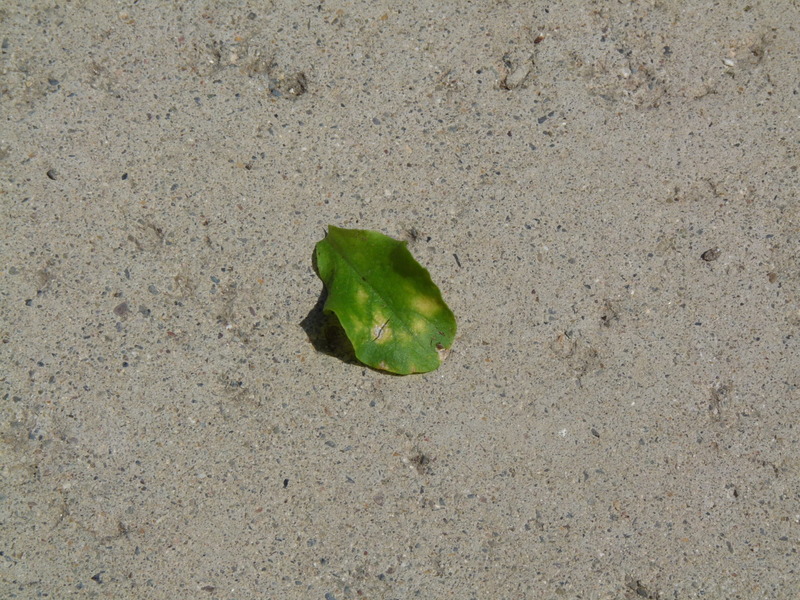 From the description of the leaves starting with yellow spots then turning to tan. If the centers are also sunken, the next step will be necrosis and holes in the center of the spots. 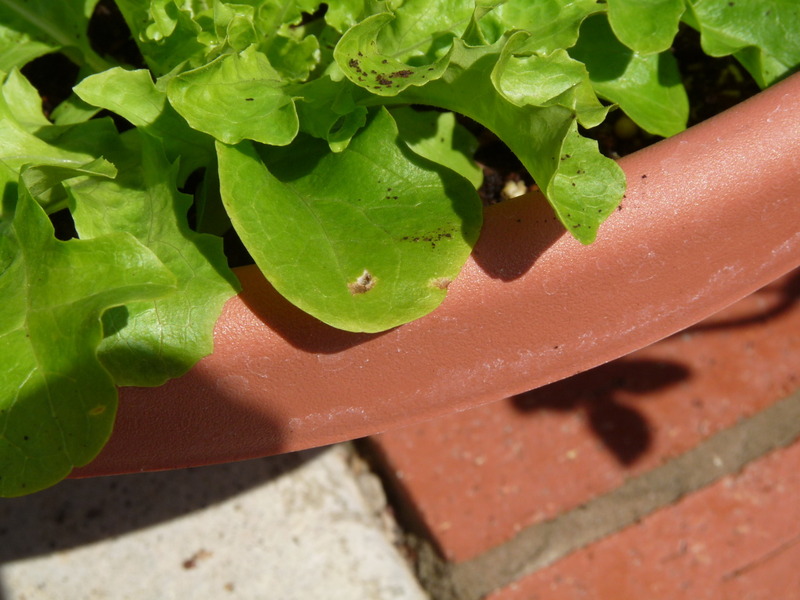 The lettuce looks closely planted, that will keep the soil moist and you said you had problems with fungus gnats. 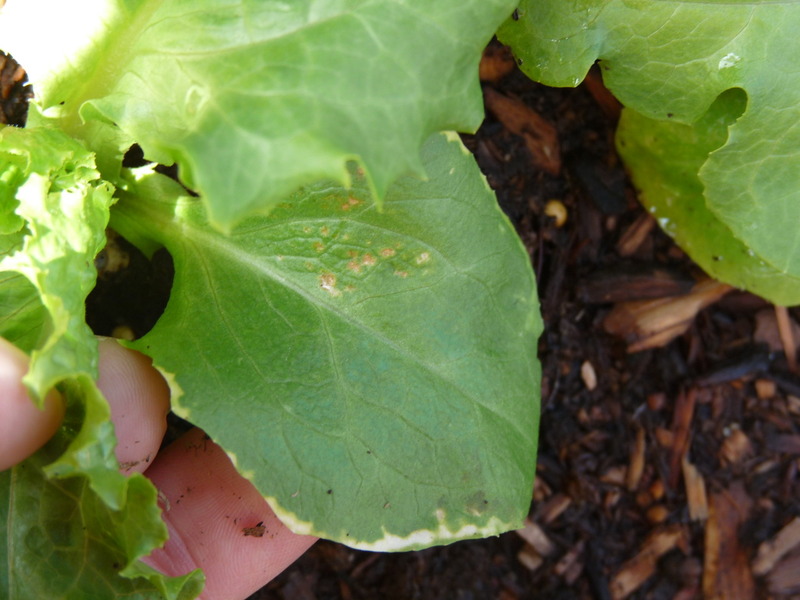 These could be symptoms of one of the fungal diseases that lettuces are prone to especially in cool wet weather and overhead watering. If the fungus is in the soil, the spores will probably keep coming out. I would harvest what is possible. If it is in a container, get rid of the soil since it will have fungal spore contamination. Clean the container with bleach and start over with fresh soil. 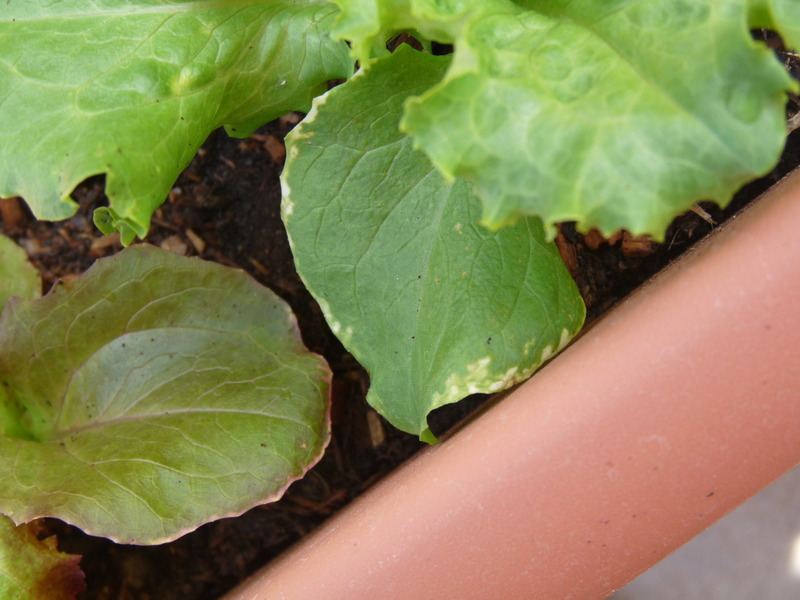 Lettuce is shallow rooted and I have less problems when I plant lettuce in a shallow tray rather than a deep pot. 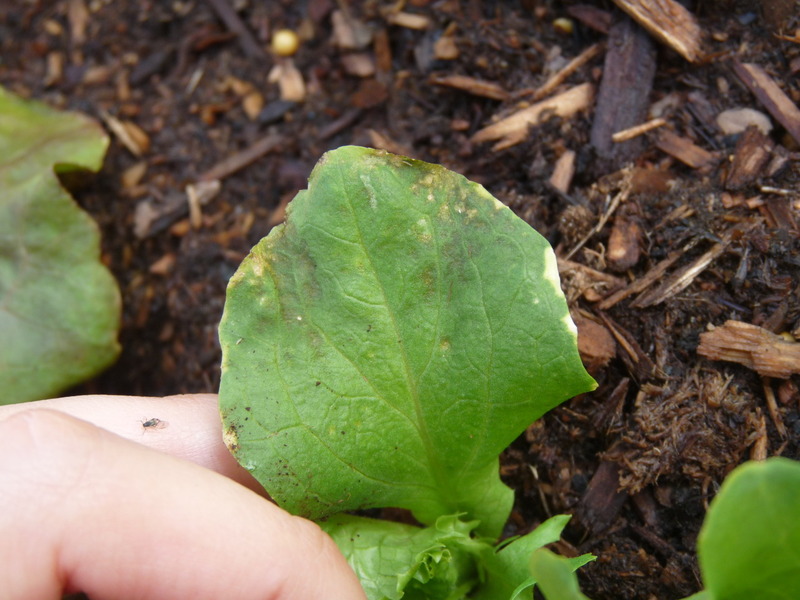 If you want to try to save them, you can try removing the infected leaves (discard them in the trash) and let the soil dry out, your soil still looks really moist. try to water without splashing. You can use a 2 liter soda bottle cut the bottom off, and plant the spout end of the bottle in the soil of the planter and water the plants by filling the bottle. try to get at least half the bottle in the soil so it will be stable. Now, you have a funnel to water the soil directly without splashing. If you want to make it drip slower, drill holes in the bottle cap, put the cap on the bottle before planting the bottle in the soil.